I've spent the last few days quilting and now binding a quilt that I can't share quite yet. But soon, I promise! 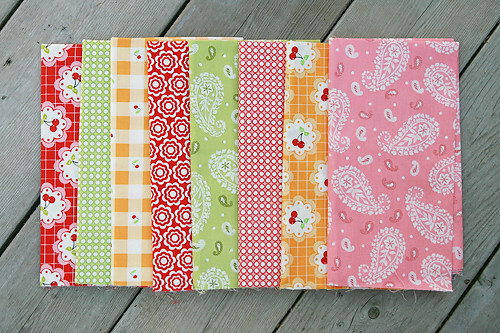 While I wrap that project up, I will share some new fabric in the Fresh Lemons house. These are a few prints from Cherry Fizz by Barbara Jones. 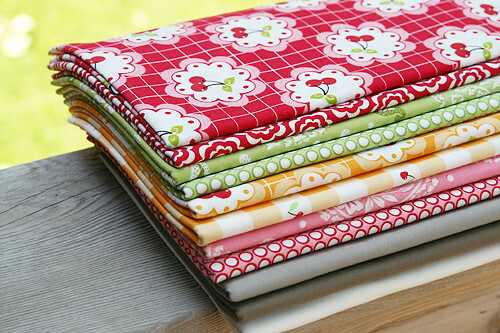 I especially love the Orange Cherry Doilies print. I plan to pair these up with a few Kona solids - Stone, Weathered Teak and Snow - for a future quilt.